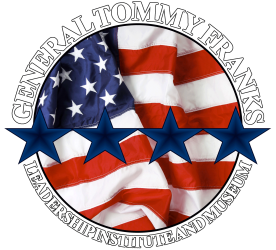 Four Star Leadership with General Tommy Franks is a world-class summer leadership program designed to develop and inspire young people through the four core principles of character, common vision, communication and caring. The four C’s guided General Franks through his 38-year military career. Now, they establish a platform of discovery for the next generation of leaders. The General Tommy Franks Leadership Institute and Museum and Oklahoma Christian University partnered together to create the Four Star program, providing an incredible opportunity for 50 of the nation’s top students to engage with prominent world leaders and thinkers, build relationships and strengthen skillsets. Ruchit Majmudar, a graduate of the Four Star program, says the opportunity changed his life for the better. Four Star attendees work in collaboration with fellow students, engage in active dialogues, develop creative, independent ideas and improve their written and oral communication abilities through debate, an ethics bowl competition, writing and other exercises during their time at Four Star Leadership. Students who attend have an opportunity to earn scholarships, gain internships and receive letters of recommendation. When students win a scholarship for themselves, they also win a matching financial award for the nominating school. Four Star Leadership is looking for the top high school leadership from around the world to attend Four Star Leadership 2016! Learn more about this life changing program and apply today at FourStarLeader.com. The Four Star Leadership program is made possible through generous donations from individuals, organizations and corporations. Whether the gift is financial, resourceful or expertise, we value all of these donations as treasures invested in the lives of the next generation of leaders. Support Four Star Leadership by donating today!